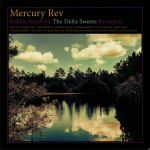 Review: With Mercury Rev something of a household name in some parts of the world, icons of a modern age, you could forgive such a group for trudging down a beaten path of trying to reinvent themselves; taking it instead to reimagine a 1968 sleeping classic. 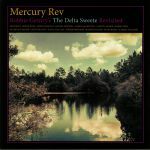 Adorning this cover-LP with Bobbie Gentry's all-time classic "Ode To Billie Joe" (feat Lucinda Williams), each track on the record in fact features a different singer-songwriter. Both Norah Jones and Beth Orton can be counted alongside Rachel Ann Goswell (Slowdive) and Laetitia Sadier (Stereolab) in addition to country music's hotly tipped next star, Margo Price. Among a boastful host of others, it's a full female cast to line up alongside a sweet new interpretation of a country western classic the world will finally hear in full.